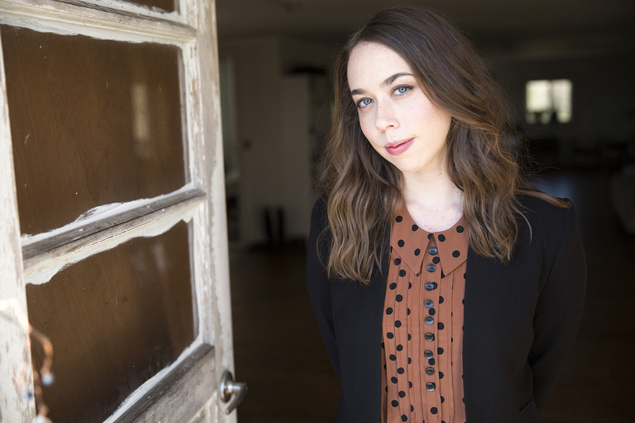 On Sarah Jarosz’s fourth album, Undercurrent, the impact of being a full-time artist living in New York City is palpable. A gifted instrumentalist, singularly expressive vocalist and songwriter of rare insight, Jarosz anchors her new record with a haunting quartet of songs written and performed solo—"Early Morning Light," "Everything to Hide," "Take Another Turn" and "Jacqueline." She expands her palate from the swampy defiance of “House of Mercy” to the nostalgic “Back of My Mind.” Undercurrent captures the process of personal evolution and discovery as well as the inspirational nature of change. 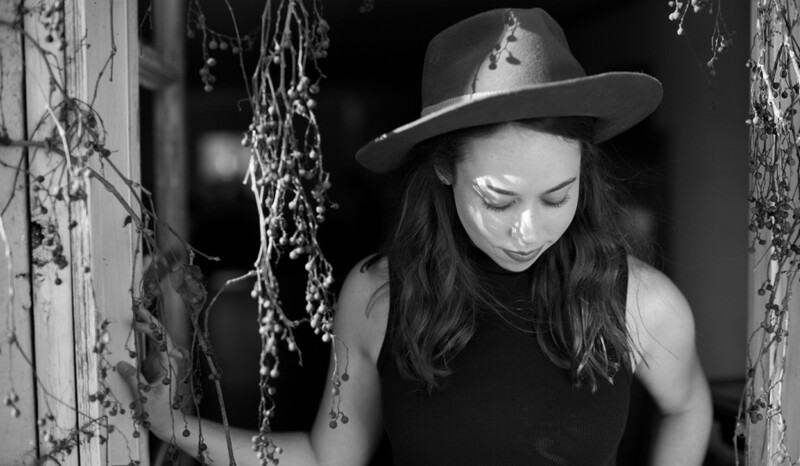 SARAH JAROSZ SHORT BIO FOR VENUE WEBSITES, PROGRAM COPY, ETC. 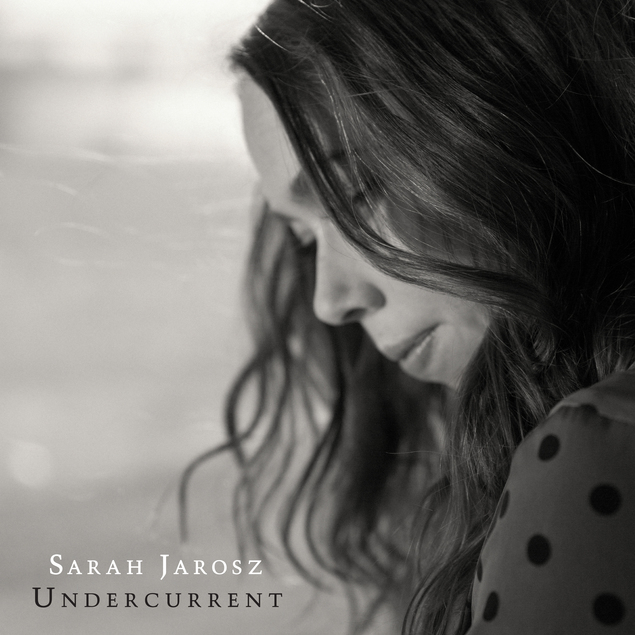 With her fourth album, Undercurrent, Sarah Jarosz makes a studied departure from her previous records, shifting the emphasis from her skills as a multi-instrumentalist to her songwriting and vocal performance. Undercurrent accentuates the growth and maturity that Jarosz, now 25, has achieved since graduating from New England Conservatory and moving to New York City. The change in approach garnered Jarosz two Grammy Awards in 2017—for Best Folk Album Year for Undercurrent and for Best American Roots Performance for “House Of Mercy”. She also picked up the award for 2017 Folk Album of the Year from Folk Alliance International for Undercurrent. The Austin Chronicle’s Jim Caligiuri declared "For Austinites who've followed her since her early teens, the fact that Wimberley native Sarah Jarosz blossomed into one of the most stirring musicians of her generation comes as absolutely no surprise,” while Consequence of Sound’’s Michelle Geslani noted the "startling sense of insight” in Jarosz’s compositions. NPR’s Katie Presley made note of Jarosz’s newfound maturity, praising her “uncharacteristically (and deliciously) unyielding” vocal carriage. Jarosz ended 2016 and started 2017 building on her previous successes in the UK, with tours in November and again in January | February, including sold out shows at Union Chapel in London and City Halls in Glasgow, as well as sell outs in Dublin, Belfast, Cork and Lerwick. She returned from the UK just in time to attend the Grammy Awards, followed by an appearance on the new Chris Thile-hosted A Prairie Home Companion as a part of the house band. Her tour resumes in March and will continue through most of 2017, supporting Undercurrent, with musicians Jeff Picker on bass and Anthony da Costa on guitars and vocals. 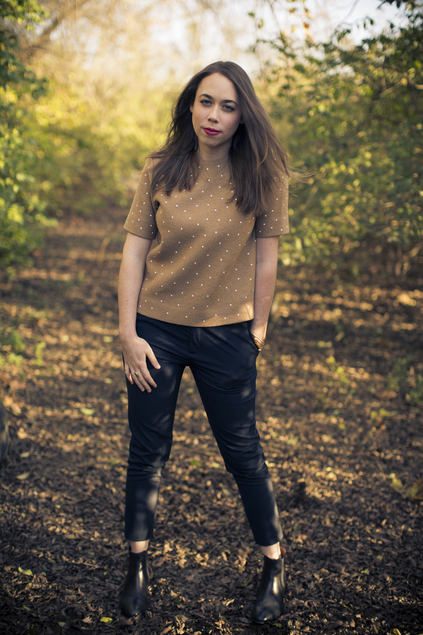 "I really like that word," Sarah Jarosz says of the title of Undercurrent, her fourth Sugar Hill album. "If you look up the definition, it's 'an underlying feeling or influence' or 'a flow of water moving below the surface.' To me, that really encompasses the feeling behind this record." That evocative imagery is appropriate for Undercurrent, whose 11 original songs seem to reveal new lyrical depth and sonic nuance with every listen. A gifted multi-instrumentalist, a singularly expressive vocalist and a songwriter of rare insight, Sarah Jarosz has been described by The New York Times as "one of acoustic music's most promising young talents: a singer-songwriter and mandolin and banjo prodigy with the taste and poise to strike that rare balance of commercial and critical success." Although it's her fourth album, Undercurrent is a milestone for Jarosz in more ways than one. It's her first release since graduating with honors from the New England Conservatory of Music, and her first since relocating to New York City. "This is the first record I've made since being out on my own and experiencing a lot of changes, and I think that that's reflected in the songs," Jarosz explains. "It's also the first record I've ever made that feels to me like a complete thought, with a beginning, a middle and an ending. It's also the first time I've made an album that doesn't have any covers on it. I wanted it to feel like the rollercoaster ride that is life, so I put a lot of thought into sequencing the songs. It was important for me to start with light, and then go through darker times, and stubbornness and strength and weakness, and then end up on a hopeful note." Undercurrent is a sublimely resonant song cycle anchored around a haunting quartet of songs written and performed solo by the artist: "Early Morning Light," "Everything To Hide," "Take Another Turn" and "Jacqueline." The album features several numbers co-written by Jarosz with a variety of collaborators who also contributed to the recordings, including Luke Reynolds ("Green Lights"), Jedd Hughes ("House Of Mercy"), Parker Millsap ("Comin' Undone") and Aoife O'Donovan ("Still Life"). The latter track features O'Donovan, of Crooked Still fame, as well as Nickel Creek co-founder Sara Watkins, Jarosz's bandmates in their extracurricular trio I'm with Her. Undercurrent also includes two songs co-written with the Milk Carton Kids’ Joey Ryan, including the nostalgic “Back Of My Mind”. "When I visualize this record, I think of the Central Park reservoir, where I spent a lot of time getting inspiration and thinking about the album," Jarosz notes, adding, "It was the most focused I had ever been, in terms of trying to write every day and having a grander idea of what I really wanted to write, so I was able to enjoy the process of writing more than ever. And it was a luxury to go to Nashville for two months to work on the record, because in the past I was always running back and forth between school, touring and the studio." While Undercurrent is a creative landmark for Jarosz, she's been making music for most of her life. Growing up in Wimberley, Texas, she began singing in early childhood. Receiving a mandolin for Christmas when she was nine years old, she worked tirelessly to master the instrument, and learned to play guitar and clawhammer banjo along the way. When she was 11, she performed at her first bluegrass festival; over the next few years, she gained an impressive reputation as a young phenom on the festival circuit, absorbing a world of traditional influences while honing her own highly original songwriting sensibility. "From an early age, I've had a strong desire to create music," Jarosz states. "I was also fortunate to be surrounded by older, accomplished musicians who were my mentors. From the very beginning, all of my heroes looked out for me and challenged me in the best ways. It was great being raised in music that way. I always felt completely supported, and I think that that attitude affected the way I approach music now." In the summer of 2007, after performing at Colorado's Telluride Bluegrass Festival, Sarah met Sugar Hill Records A&R rep Gary Paczosa, who was impressed enough to invite her to Nashville to record some of her compositions. The following year, the 16-year-old artist signed with Sugar Hill and began work on her 2009 debut album Song Up In Her Head. Sarah's second album, Follow Me Down, arrived in 2011, and expanded the artist's sound as well as her fan base, while her tireless touring efforts won her new fans from across the musical spectrum. 2013 saw the release of Jarosz's third album, Build Me Up from Bones, which once again featured an expanded sonic and compositional palette. It also won Jarosz some of the most enthusiastic notices of her career, as well as Grammy nominations for Best Folk Album and Best American Roots Song. Jarosz toured to support Build Me Up From Bones for a good part of 2014, criss-crossing the US and making two trips to England, Scotland and Ireland. One of the highlights was her first appearance at the Cambridge Folk Festival. Jarosz spent much of 2015 touring widely as one-third of I'm With Her, the mini-supergroup she shares with kindred spirits Sara Watkins and Aoife O’Donovan. "After singing my own songs for so many years, it was eye-opening to shift gears and be a part of something different," Jarosz observes. "We've only been a band for a year, but I've learned so much from it already, and I definitely brought some of those lessons to Undercurrent. "I'm just trying to become more focused and more honest, and trying to be a better listener and observer of the world around me," she asserts. "That's what I tried to do on Undercurrent, and I'm really pleased with how true this record feels to me. In some ways, it feels like my first record, in the sense that it was the first time I could focus all of my energy on it. Everything felt like it was leading to this moment." 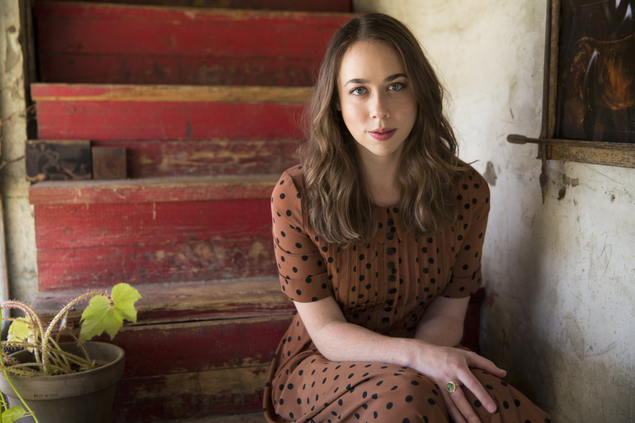 Nashville, TN - Undercurrent, the fourth album from acclaimed GRAMMY nominated singer/songwriter/multi-instrumentalist Sarah Jarosz will be released on June 17th via Sugar Hill Records. Undercurrent features a newfound confidence and a more minimalist production, focused on Jarosz’s upfront vocals and most personal songwriting to date. Undercurrent was co-produced by Jarosz and Grammy award-winning engineer/producer Gary Paczosa. Jarosz is featured on guitar, octave mandolin, and banjo with tasteful accompaniment by Jedd Hughes and Luke Reynolds (Guster) on guitar/harmony vocals, and Mark Shatz contributing bass throughout the album. Sara Watkins and Aoife O'Donovan, her bandmates in I'm With Her, make an appearance on the Jarosz/O'Donovan co-write "Still Life." The themes running through Jarosz’s writing range from transitions in life and love in “Early Morning Light” and “Take Me Back,” to nostalgia on “Back Of My Mind.” The joyous and up-tempo “Comin’ Undone,” a co-write with Parker Millsap is an ode to pushing through when days feel heavy. Since the release of her last album Build Me Up From Bones (2013), Jarosz has toured internationally, acted as a guest host for Garrison Keillor’s famed A Prairie Home Companion and taught at Yo-Yo Ma’s prestigious Global Musician Workshop. Build Me Up From Bones received high critical praise that included The New York Times, New York Magazine, NPR, LA Weekly and USA Today, and she performed on CONAN and The Late Late Show with Craig Ferguson in the same week. Undercurrent reflects the unique way Jarosz combines her early roots-based background with new influences stemming from a recent move to NYC and a diverse group of musical colleagues. The album encapsulates a true artist during the process of personal evolution and discovery, and should firmly secure her spot as one to watch. Complete tour schedule for Undercurrent to be announced soon. 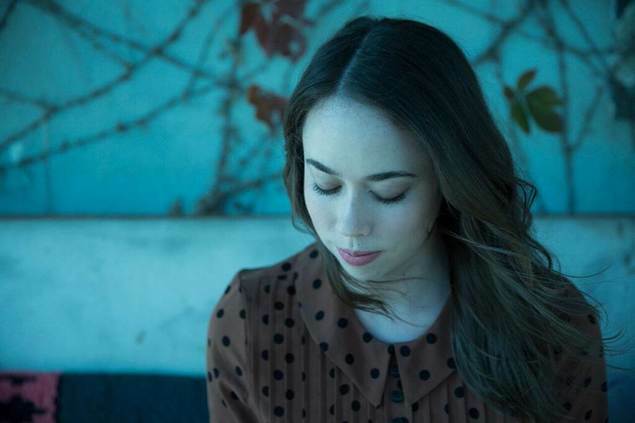 Nashville, TN – GRAMMY-nominated singer/songwriter/multi-instrumentalist Sarah Jarosz has announced 2016 tour dates in support of her upcoming album, Undercurrent. The new album, which will be released on June 17th via Sugar Hill Records, was co-produced by Jarosz and long-time collaborator Gary Paczosa. In contrast to her previous work, Undercurrent features a newfound confidence and a more minimalist production, focused on Jarosz’s upfront vocals and most personal songwriting to date. Jarosz’s 2016 tour dates kick off in her home state of Texas where she’ll play Dallas on April 14th, the Old Settler’s Music Festival on April 16th and Houston on April 17th. Jarosz will celebrate the release ofUndercurrent in Los Angeles with two album release shows at the famed Troubadour on June 16th and McCabe’s Guitar Shop on June 17th. Following the California dates, Jarosz will travel to Washington, DC where she’ll perform as part of Chris Thile’s American Acoustic Show at The Kennedy Center on June 24th with her band I’m With Her (Click HERE for details.) Jarosz will headline the Bowery Ballroom on June 27th followed by The Sinclair in Cambridge on June 28th. On Friday July 1st, Jarosz will join Garrison Keillor and many of his other duet partners for A Prairie Home Companion at The Hollywood Bowl in Los Angeles, CA. Other dates include Louisville’s Forecastle Festival on July 16th and a UK tour in November. A full list of tour dates can be found at the bottom of this release. Joining Jarosz on the road will be musicians Jedd Hughes and Jeff Picker. A co-writer on “House of Mercy” and long-time touring band mate of Sarah’s Hughes will play electric and acoustic guitars, and provide harmony vocals. Bassist Jeff Picker’s unique blend of folk, western swing and jazz influences has made him a highly in-demand player and exciting, creative voice in the Brooklyn roots music scene. 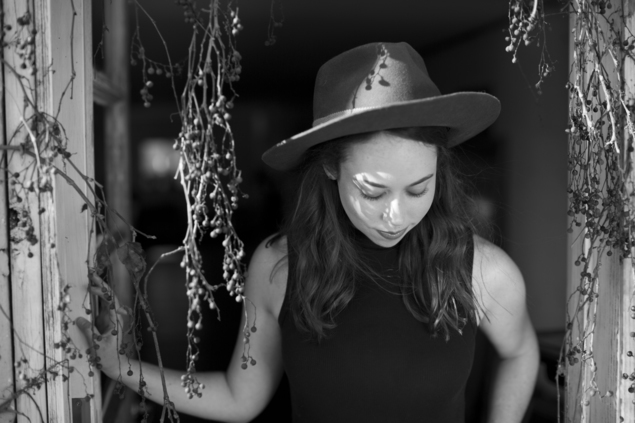 Undercurrent reflects the unique way Sarah Jarosz combines her early roots-based background with new influences stemming from living in NYC, and her diverse group of musical friends and colleagues, many of whom are reflected in her 2016 tour collaborations. The Austin American-Statesman wrote of her recent SXSW performance, “Grammy-nominated Jarosz is a string instrument prodigy, a heart-rending writer, and the owner of a clarifying, powerful voice. Her set was poised and flawless…”. Sarah’s previous album, Build Me Up From Bones, received praise from a variety of press outlets including The New York Times, New York Magazine, NPR,LA Weekly and USA Today, and she also performed on CONAN and The Late Late Show with Craig Ferguson.